Cuisine is one of the few things that unite North and South Korea. The two countries have a shared culinary heritage, and previous visitors to South Korea will instantly feel at home in a North Korean restaurant. Main dishes are largely based upon warm rice, meat and vegetables, though it’s the side dishes that really make the meal. 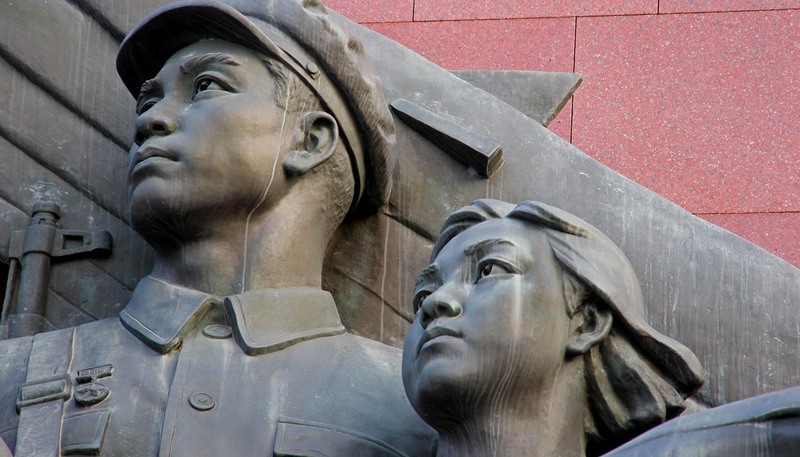 As with everything else in North Korea, your dining experiences will be limited by your government approved guides, yet most itineraries serve up a good variety of the country's gastronomy. Do stick to Chinese, Japanese and Korean dishes, as experience of Western cooking is limited. Kimchi: Cabbage or radish fermented in a brine of ginger, garlic, scallions and chilli. Bibimbap: White rice topped with vegetables, chilli, soy sauce, raw egg and sliced beef. Bulgogi: Grilled beef marinated in soy sauce, sugar, sesame oil, garlic and pepper. Japchae: Sweet potato noodles stir-fried in sesame oil with sliced vegetables and beef. Gimbap: North Korea’s take on sushi. Bindaetteok: A fried pancake of ground mung beans, green onions and kimchi. Miyeokguk: A very nutritious vegetable soup made of seaweed. Boshintang: A traditional North Korean soup with a main ingredient of dog meat. Tteok: Sticky rice cakes variously filled with honey, sesame, nuts and dried fruits. Soju: A clear spirit, similar to Japanese sake, but made from sweet potato or barley. Makgeolli: A cloudy, off-white and sweet rice wine of around 8% alcohol. Taedonggang: A brand of state-owned North Korean beer brewed in Pyongyang. Daechucha: A traditional tea made by diluting the juice of jujubes into boiling water. Tourists do not need to tip in restaurants or bars.